4. Done. 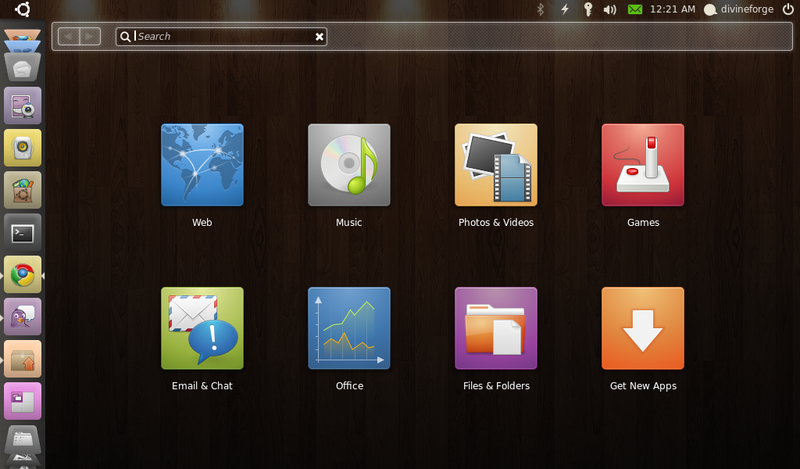 and Logout , select Login to Ubuntu Netbook Edition from the Login Screen. it seems like a simple and intuitive interface. Suitable for social networking activity, online, playing music, chatting, watch video.. The interface is clean and neat.. However, I encounter a little bit of inconvenience of using it... Such as couldn't see an easier way how to access to desktop items. The Launcher bar on the left, doesn't offer any easy option to auto hide? move to other location.. ? Clicking the ubuntu icon on the top left, open a search box, and also provide a cool search-like panel (as in the image on top), though we can find & search everything from there. It seems a little bit graphic processing demanding for netbook when going into the search screen? hmm (it has some delay on my HP Mini 210). After all, it has a lovely launcher bar.. and it's lively.